Flipping Out Over Aerial Yoga – Bent And Twisted! As our focus on health and wellness in the new year continues, we are also putting a lot of effort into stepping outside of our comfort zones and trying new adventures! It’s so easy to get caught in a rut – doing the same things, every single day, simply because it’s comfortable. One of our goals in 2018 is to get adventurous, take you all along with us as we step outside of our ‘bubble’ and really experience the world around us. True growth only happens when you put fear aside and walk into a situation that makes you uncomfortable, facing it head on. You’re forced to dig deep in your soul and trust that you CAN do hard things and that you ARE strong enough to conquer whatever lies ahead. It’s also really important to have a good sense of humor. Being able to laugh at your small failures makes every situation in life so.much.easier. After conquering Acro Yoga a few weeks ago, we had a boost in confidence and decided that Aerial Yoga would be our next adventure. Although our yoga instructors assured us that we could do it, there were still some nerves involved. Aerial Yoga seemed easier in the sense that we didn’t have a partner that we could injure or fall on, but then it seemed harder because it fully 100% depended on our own strength and ability. While we were driving to class, Lauren’s fear of the unknown started to take over. She went into a full on panic attack. I mean, we’re talking deep breathing, wanting to vomit, couldn’t eat breakfast, level 1 nervous breakdown. Jill comforted Lauren the best way she knew how – by laughing until she cried and by ‘snap chatting’ Lauren’s Britney Spears 2007 style breakdown (*spoiler alert* no shaved heads). It was honestly the best.thing.ever. So that you can fully understand the hilarity of the situation, we’ve compiled a short video of our snaps to show what it was like inside that car on the way to class. This is the perfect sneak peak into our real lives; probably the best video we’ve ever posted – you’ll want to watch this one for sure! Once we arrived at our destination, the nerves started to calm and it was time to man-up. Just like acro yoga, before we knew it, we were knee-deep in the class; we were “flying” within minutes. Here’s our breakdown on what to expect if you’re on the fence about aerial yoga. A lot of you are probably thinking “I’m not sure I can do that.” Actually, our first joke was “I wonder what the weight limit is on those straps?! ?” (You know you were thinking that too!) Funny enough, one of the first things our instructor said was “there’s a 2,000 pound weight limit on the silks, so there’s literally nothing you can do to break them!” (Shew! Major fear calmed right there!) There were all different body shapes and sizes in our class. Some people were very physically fit, some people didn’t seem to be athletic at all and most of the class was just your average women. The workout was adapted to all levels of fitness and you were able to opt out of any pose that you didn’t feel comfortable with (our backup plan was to chill in our hammocks if we got really scared.) Luckily, we didn’t have to stoop to that level. This class does require a certain amount of flexibility and upper body strength. Because of that, I would suggest taking the class with a buddy; someone that can provide extra support getting into the tough poses. As much fun as this was, DO expect to be *slightly* sore following the class. Your body will be in positions that it may have never been in before (stretch really well before class if possible!). The silks will definitely “hug” your legs (sometimes you’ll feel like your legs are getting squeezed in half – but, no worries, you’ll be just fine!) Also, expect your hands to be tender after the class (you’ll be amazed how tightly you grip those silks!). We had actually read that you could wear gloves to keep your hands from getting sore but we didn’t want to be those people….but, honestly, you should be that person – at least until you condition your hands to the workout. This was super fun experience and we would totally recommend that you try it out with your group of friends. Yoga Power in Charleston was one of the most impressive studios we’ve visited! They have a coffee bar, retail area, tons of space to store your stuff and even a “foot cleansing” station! Be sure to check out yogapowerwv on Facebook, Instagram and Twitter and follow them to get the latest on upcoming events and the aerial yoga schedule! Mom Approved Workout Gear – Affordable, Durable and Cute! While we have all resolved to workout and improve our health this year, we also want to look good doing it! Here are some options that don’t break the bank, are durable and totally mom approved! Victoria’s Secret – I’ve had several pairs of the Victoria Sport Anytime Yoga Pant since college! These are really thick and hide some of those bumps and rolls we are trying to work off. Ha. They are super durable and seems to keep their shape well after several washes. Old Navy – I love this Go-Dry Racerback tank because it is breathable but provides a lot of coverage! I’ve had the black one for a couple of years and it still looks brand new. The cut covers the front and the tush! Also, it’s not clinging but doesn’t balloon up. It’s a super cute and affordable option! 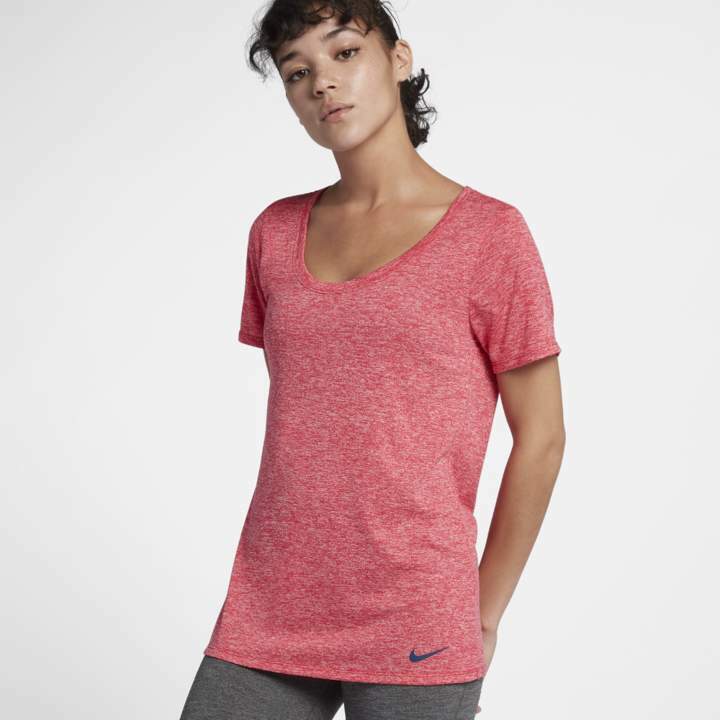 Nike – This Dry Training T-Shirt is a classic. It’s a littler longer than your average workout t-shirt which is great for those of us getting back on the workout train! The material is super soft and I love the color options. 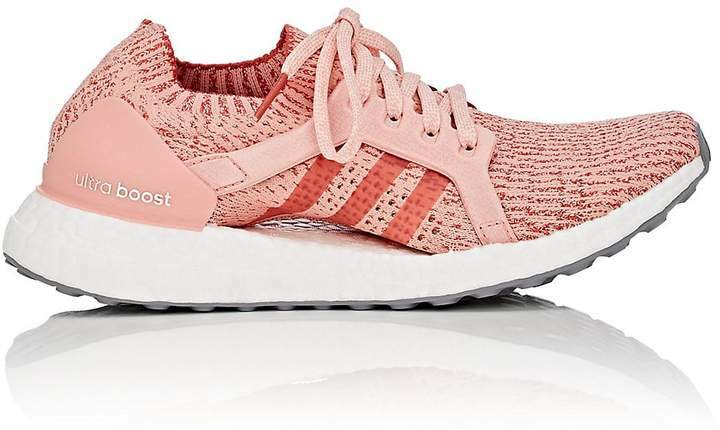 Adidas – My brother introduced me to the Ultra-Boosts. They are the most cushiony tennis shoes I’ve ever owned. If you want to feel like you are floating on clouds, this is the shoe for you. (I’d also recommend the NMDs…my husband swears by them.) Make sure you are wearing the right shoe for you, it can make all the difference in your workouts. Nike – This Classic Swoosh Support Bra is what I’ve been using forever. It is total wash and wear and has tons of color options. If you’re looking to burn a few extra calories or intensify your workouts just a bit, I highly suggest this Gold’s Gym Neoprene Waist Trimmer. I never workout without one! This really warms up your core for a good healthy sweat. If you’re looking to shed some pounds quickly or really step up your workout game, then you should try the Gold’s Gym Sauna Suit. While I realize this contraption is anything but stylish, it really works. You will absolutely pour the sweat! I recommend wearing this during your home workouts. Your workout buddies might be slightly embarrassed if you show up at the gym sporting this rubber made beauty. If you’re like me and really enjoy the weight room (or even just the Nautilus Circuit) make sure to invest in a good pair of Gold’s Gym Wrist Wraps. These will provide vital support when lifting heavy – your wrists will thank you! As you may have already noticed, we’re really focusing on living a fab, fit and fun life in 2018. Stay tuned for more workout adventures – I wonder what we will be up to next?!? Make sure to like, comment and subscribe to the blog so you don’t miss anything! Flying High With Acro Yoga; We Thought We Were Going To Die! How many times have you gotten into something that you weren’t really planning on doing, but your friend asked you go, so there you are?! Well, that’s exactly what happened last week. Lauren sent a text that said “OMG, Acro Yoga popped up on my Facebook feed, it would be hilarious, any chance you want to try it? ?” In Jill’s adventurous nature, she replied with “let’s do it”. Before we knew it, we were booking an Acro Yoga workshop class on the MindBody App (we had absolutely no idea what we were getting into – neither of us even practice yoga regularly) but the rest is history. The next day we had the normal text conversations, you know, like “still on for tonight?” And, most importantly, “what are you going to wear?” As if one of us was going to reply with a “sundress and wedges” (why do girls always do this?!? I’m the worst for it.) We made a plan and we were all set. Lauren arrived at the yoga studio parking lot first and called Jill. At this point, panic was setting in! As Lauren was watching the yoga regulars walk in to class she started to feel as if we had made a HUGE mistake. While we were on the phone Jill talked Lauren ‘off the ledge’ and arrived shortly after. When we walked into the yoga studio, we both began to giggle nervously as we got ready for class. The lights were down low, soothing music was playing in the background and the regulars were already warming up (mind you, we don’t even know how to properly warm up for acro yoga.) Sooo….in true blogger fashion, what did we do?!? We found a better lit room and began to take a few selfies (I’m not even kidding.) About this time, Jill realized that she forgot to even bring a yoga mat (I mean, isn’t that like yoga 101?!?) Luckily, the studio provided a mat but I’m pretty sure this was the first hint that we didn’t really know what we were doing. After a few minutes of waiting anxiously in the foyer (and deep breathing), we finally worked up the courage to walk into the studio. To our surprise, the instructors and other classmates were overwhelmingly warm and inviting. We quickly ousted ourselves as newbies, but luckily, that didn’t really seem to matter. The instructors were amazing; so very patient, kind and encouraging. They talked us, and the rest of the class, through every movement. They kept us safe, and most importantly, they provided a really fun learning environment. I’m not really sure what I expected going into the class. I vaguely knew what acro yoga was but I wasn’t sure what all we would do at the workshop. I did a quick google search of acro yoga poses (isn’t that how we learn everything these days?!?) I was equally nervous and excited as I browsed through all the photos of acro yoga. As I looked through the poses, some of them made me think “I can do that.” But some of the more complicated poses gave me heart palpitations. I quickly told Lauren that I would be the base (person on the bottom; the lifter.) Strength has always been my thing but my flexibility is not what it was 10 years ago. As it turns out, Lauren was a much better base. At first, I felt like my legs were just too short to get the flyer (the person being lifted) properly in the air. Towards the end of the workshop I finally figured the base thing out, but surprisingly, I liked being the flyer. There is something very freeing about hanging upside down, in the air, suspended by a stranger’s feet and totally trusting that they won’t drop you! The workshop was roughly 2.5 hours long. Going into it, that seemed like a really long, overwhelming amount of time. But we enjoyed it so much that time literally flew by. Before we knew it, it was time to leave and we didn’t want it to end! Overall, Acro Yoga was much more about trust and team building and very little about skill. Now, don’t get me wrong, the teachers have A LOT of skill and they’ve obviously worked very hard at their craft. They’re amazing. But they were able to give us the quick-n-dirty on acro yoga and within the first thirty minutes I was flying upside down. I never in my wildest dreams imagined that would happen. I figured we would mostly watch them and maybe do something really simple. In the pictures below, you’ll see the crazy positions they had us in. I’m still kind of shocked, but I can’t wait to do it again! Sidenote: When I told my BFF’s that I was taking this class, they had every joke in the book – including information for the Orthopedics Department at the local emergency room. I’m not even kidding – of course it was all in good fun. But honestly, I think this would be a really cool girlfriends retreat experience. Because we had no idea what we were doing, we laughed sooo hard (we didn’t really bring tranquility to the class, but we’ll work on that next time I swear.) We also felt really great accomplishment when we landed a pose. It was the most uplifting environment. If you’re in good health, I would totally suggest giving this a try! So, as you saw above, I was totally freaked out about this after I signed up and to be honest, I didn’t really know what I was getting myself into. One of my facebook friends was “interested” in this class, and I thought it would be a fun, different kind of yoga class to try. I am not a full on yogi, but have taken my fair share of meditative/restorative/bikram/prenatal yoga classes. Once I started googling pics to see what I was in for, I totally lost it. There was everything from 3 to 4 person pyramids to crazy bendy people in all kinds of unnatural positions. I immediately regretted my decision. For some unknown reason, I tried to get affirmation that I could do this from my husband and friends, but they immediately laughed me out of the room. I was a basket case before I left the house; I was trying out poses with my 3 year old. Soooo, just a little insight into me, I like my personal space…the thought of randos holding me up with their FEET and vice versa, had me basically needing a paper bag to breathe into (I really didn’t think this through did I?!?!). Once Jill arrived and we made our way inside the yoga studio, everything was calm and serene. You know those times (like in school or church) where you aren’t supposed to laugh but you can’t control yourself?? Well, this was one of those times. It was laugh or cry – I was so out of my league. For more information on Acro Yoga check out Angie Edmunds at Yoga Power, LLC in Charleston, WV or her workshops at Studio 8 in Huntington, WV. Namaste my friends. Cheers to a peaceful, fun, uplifting week. It’s a new year – a total clean slate. It’s a time for new beginnings, goals, resolutions, and bucket list items. I am, for sure, an optimist, and I totally get into thinking about things I’d like to change in my life, how I I want to grow, what I want to do and accomplish and how it’s going to happen. *Let me just stop right here* and acknowledge that all of us with young children are totally in survival mode and just getting ourselves and families fed, dressed and out the door in the morning is an accomplishment. But, as I come through the fog of having an infant (2 toddlers now!?! ), I have a newfound burst of energy to tackle some of the things that were on hold for the last year or so. So, to be completely honest, I have found some of my inspiration for my New Year’s resolutions from The Bucket List Family. If you aren’t familiar with them, they are a family who sold everything to travel around the world, learn about different cultures and give back. I first learned about them as they partnered with Disney and reviewed resorts in their 30 Stays in 30 Days videos. I really appreciate their goals for the family: Adventure, Service and Culture (and health). (I also absolutely love the idea of living with less “stuff”, but that’s another post for another time. 😁) This was completely inspiring to me, so this year, my big goals for myself and family are Adventure, Service and Healthy Living. The wanderlust is real, you guys. Traveling is my happy place! While John and I aren’t going to sell everything and travel the world with our kids, this year my goal is to experience something new each month. While some of our adventures may be big, like a trip to New Zealand, some will be as simple as a visit to a new museum or new art class. The last few years have flown by! If you are like me, you would love to slow things down (especially those sweet moments with your babies). You know how everyone says, if you want to slow the years down, take some time to learn something new? Here’s my attempt to make the most of the time with my family and have a really fun time doing it! Some of us are better at giving back than others. I love giving to charities and good causes, but getting down to the nitty gritty and rolling up my sleeves? Not as good. This year, I’d love to show my kids the value of getting involved in hands-on church and community projects to make our town a great place to live. Every year I make the resolution to lose weight, but this year, I am committing to a healthier lifestyle. Without health, we are really super limited to what we can do. Whether I like to admit it or not, I feel better when I exercise – I have more energy for my kids and am generally in a better mood (“Exercise gives you endorphins. Endorphins make you happy. Happy people just don’t shoot their husbands, they just don’t. -Elle Woods). I am working on incorporating both strength training and HIIT training into my workout plan. Not only will that help keep me feeling good but I will be able to keep up with my kids! Throughout this year, Jill and I will take you on our personal journeys and show you our fun (and hilarious) fitness adventures, life hacks, beauty tips/tricks, healthy living ideas and a lot more! Coming up is a series on fitness. Check back for our post on AcroYoga!! Thank you all for taking the time to keep up with us and we look forward to hearing your resolutions, goals, and great tips for making 2018 a great year! Don’t forget to subscribe (below if you are on your mobile device and to the right if you are on your PC) and get the latest updates! Don’t Miss Out Before the Summer is Over!! The first day of school is fast approaching for some of you and for others it’s still weeks away. Either way, grab your family and make the most of the rest of the summer with these ideas! Neighborhood bike rides – Self-admittedly, I don’t have a bike. My son is just to the age where he’s psyched to take “bike rides” (which consist of going round and round in the driveway). I borrowed my dad’s bike and “rode” around with my son. He LOVED it (especially when I crashed into the grass). Remember those fun family bike rides? Get out there with your kids and spend some quality time. Pool/Splash Park day – Lather up the kids with sunscreen and park your blanket in the shade. Here’s the blanket I found this summer and love. Baseball game – Make a weekend of it! You’ll see pictured above my group of friends (minus a couple of new additions) at our annual family baseball outing. We’ll catch a game on a Saturday and spend Sunday at a museum or aquarium. We love it and I bet you will too – so grab your family friends and get out there and support your team. Don’t skip the hot dogs and ice-cream in the mini-helmet. Hike in the local or state park – If you can get away for a weekend, find a state park and book a cabin. Take in those natural wonders and let your kids experience something new. If you need to stay local, lace up, get your bug spray and get those kids out in nature. I’m not a big hiker, but I don’t want to raise a Purell-dipped kid (even though I love my hand sanitizer), so I get out of my comfort zone every so often for the sake of raising a well-rounded kid (did anyone else watch that video on Facebook?). Cook out – Fire up that grill and add some hotdogs, hamburgers or chicken. Get your kids involved in the prep. While you are grilling, set up those corn hole boards, volleyball/badminton net or soccer goals and challenge your kids to a game or two (and keep score – see video above). Do you see a pattern of food here?? Ha. In all seriousness, another summer is almost over and those littles are growing up. Does anyone else feel like the years are going by faster and faster? I’m learning that we need to get in as much memory making as we can, because those eighteen years go by fast.